The Influential Software team is proud to announce our continued status as an SAP Partner Centre of Expertise (PCoE). Taken every two years, this test demonstrates the unrivalled quality of our SAP services once again. That’s good news for clients across the UK who rely on our SAP support. The SAP PCoE is only attained after stringent tests. So why is it worth the trouble? The certification shows we have the processes, the infrastructure, and the people in place to provide first-class support. Our clients can rest assured that their software is maintained by SAP experts, in line with well-defined targets. That peace of mind is well worth the effort. Passing the PCoE is also essential for retaining our SAP Value-Added Reseller (VAR) status. That allows our customers to benefit from significant discounts on SAP licences. With changing requirements every two years, the PCoE audit ensures we’re up to date with the latest support standards. SAP’s experts examined us in three key areas: processes, infrastructure, and people. 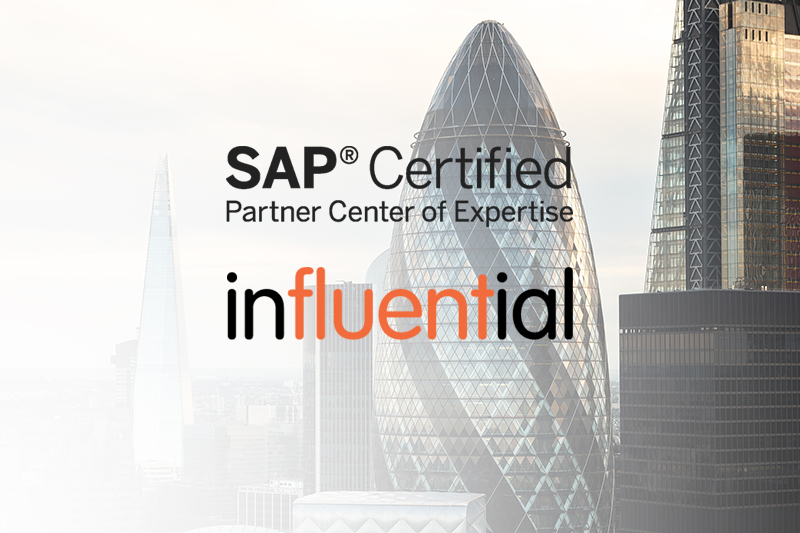 In compliance with SAP’s guidelines, Influential Software follows well-documented processes to provide the smoothest service. From support on-boarding to incident handling, from escalation through to licence auditing, our processes are 100 percent SAP-approved. SAP examined the tools, applications, and systems our teams use for efficient operations. These include our incident management system, our test systems, our remote connectivity tools, and our customer information database. With these checks in place, our clients know they can have incidents resolved within agreed time frames, alongside effective communication with our support staff. And of course SAP requires us to have staff with the necessary certifications for each product we sell and support. After 25 years of expertise in Business Intelligence, the Influential Software team is constantly maintaining and updating these valuable skills. From full-time support for one of the world’s leading publishers to system support and hosting for the meat supplier of London’s Smithfield Market, our team has an established customer base covering all business sizes and industries. With flexible payment options and bespoke service agreements, Influential Software makes SAP support tailored and affordable. Do you need the peace of mind that SAP PCoE support brings? It’s easy – just get in touch.